How exciting to learn Guavaween is changing again! You have to love Big City Events and the way they listen to us, the partygoers, the GA and VIP ticket buying public. I don't know about you but I love companies who take feedback to heart. It shows their true desire to provide their customers the BEST EXPERIENCE possible. 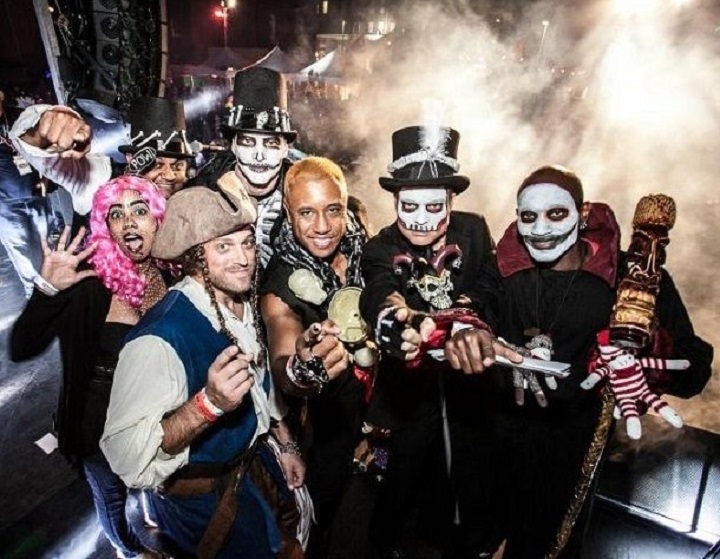 So, the 31st Annual Guavaween, Tampa's legendary outdoor Halloween festival, will be taking place at 7th Ave and 14th Street in Ybor City this year while featuring live bands, entertainment, a costume contest and much more! Thousands of Halloween's favorite fans will gather, in what is typically ground zero for the MOST creative costumes in Tampa for what is no doubt Tampa Bay's largest Halloween party! Another change this year is the inaugural March of The Pumpkin King Halloween Parade down 7th Avenue. Hosted by the good people who also bring us the Snow on 7th Holiday Parade, the Pumpkin King parade will end at the gates of Guavaween so grab your tickets now before they are gone for this epic night in Ybor! Read on to learn about other changes you will appreciate! Rock out this Guavaween to KISS Army. 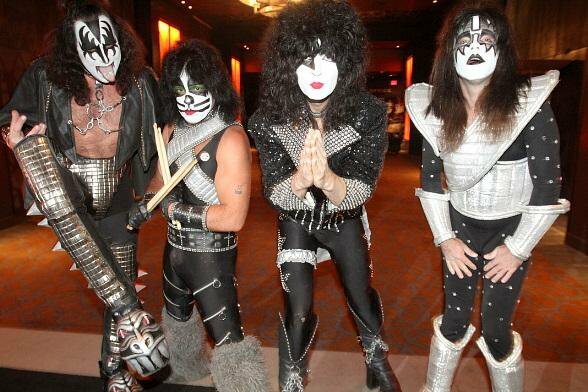 A long-time Tampa favorite, this talented group looks, sounds, and rocks out like KISS! You will feel like you are at a KISS show as they flex their musical muscle recreating the music and theatrics we love about KISS. Known for their elaborate stage production and performances this year will be one of the best if you want to get lost in the music while celebrating All Hallows Eve with a few hundred of your newest best friends! Renowned entertainer, producer, event planner and all-around entrepreneur DJ Fresh will host the night, spinning tunes and keeping the party rocking for every guest! Once a bat-boy for the Devil Rays, DJ Fresh worked for WILD98.7 and the hottest clubs in Tampa Bay where his rep and resume grew. Bringing his own special energy to corporate functions, celebrity events and more, Doug went full circle, being hired by the Rays as their official team DJ! He entertained Rhianna, LMFAO, Pitbull, The Roots, Sugar Hill Gang and many more people you know. There is no one better to host Guavaween than this talented and experienced entertainer! You are in for a night you will never forget! Should tickets still be available on the 29th you can purchase them at the Gate, but you can save money buying in advance and not run the risk of being shut out of this historic party! Enjoy the March of the Pumpkin King Parade on 7th Ave taking place from 7pm - 9pm. 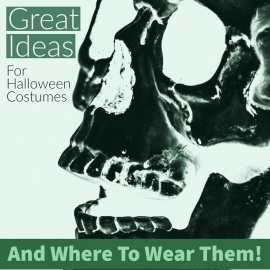 We encourage all event attendees to dress in costume whether they will participate in the Costume Contest or not. 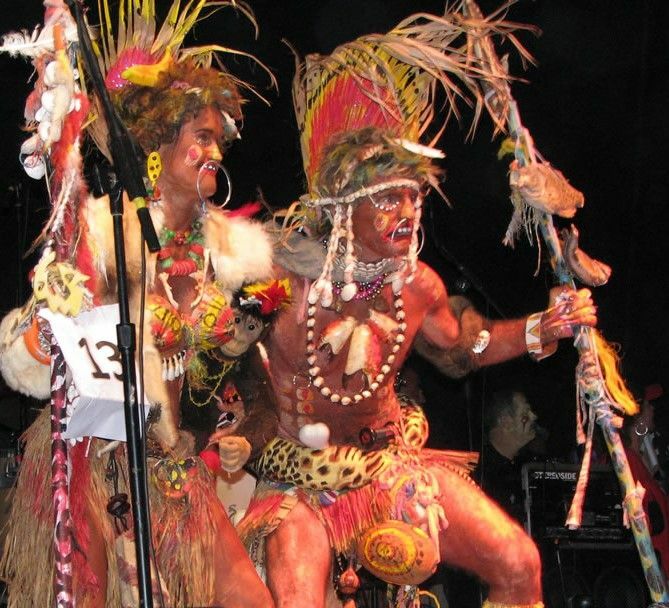 Costumes are not required to attend the festival. Guavaween will once again feature the famous Mama Guava Costume Contest and carry a $1000 prize to the BEST OVERALL costume! Judges will be scoring for: Creativity of the costume, the presentation on stage and how well the costume fits the category entered. There will be prize packages for all category winners and all category winners will be presented on the main stage at 12 midnight where The Best Overall Costume winner will be selected by audience vote. The overall winner will receive the $1,000 grand prize! The OFFICIAL VODKA for Guavaween this year will be local favorite Touch Vodka ! Known as 'The Liquid Aphrodisiac' Touch Vodka, is a top-shelf artisan vodka made right here in Tampa, Florida from locally sourced honey. Last we heard their signature drink for the night will be their Touch Vodka Tampa Mule. You had me at Touch Vodka, it is my all-time favorite! If you want to stay the night BOOK NOW - these hotels are offering a special rate and will fill up fast. Hampton Inn & Suites Ybor City Downtown by Hilton Your closest Hotel to Guavaween at 2 blocks south of the festival this is your best choice if you want to be within walking distance of Guavaween! Clarion Inn - Brandon Located just minutes from Ybor City on Adamo Dr, the Clarion Inn is just a short Uber ride away. The hotel has an outdoor pool and bar along with a sports lounge and an outdoor Jumbotron. Perfect for those that plan to have a Sunday Funday following Guavaween! Courtyard Marriott - For those planning to explore Downtown Tampa on their visit, we recommend checking out the Marriott Courtyard. Located just blocks from the Straz Center and the Riverwalk. TECO Line Streetcar System runs from Downtown Tampa to Ybor City, the line is within easy walking distance to the event. So hotels in Ybor City, Channelside or Downtown Tampa will be your most convenient options. Or Tips on doing- Halloween makeup from a theatrical Pro? 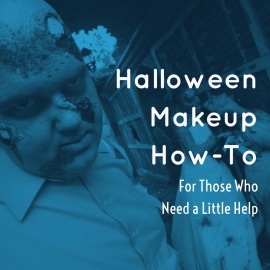 Halloween Makeup How-To | Feeling inept at that kind of thing?